What's The Best Mattress Topper For You? Mattress toppers can definitely upgrade your sleep setup, but with all of the options, how are you supposed to know what’s best for your individual needs? Well, it comes down to how you sleep, and what you’re currently struggling with. 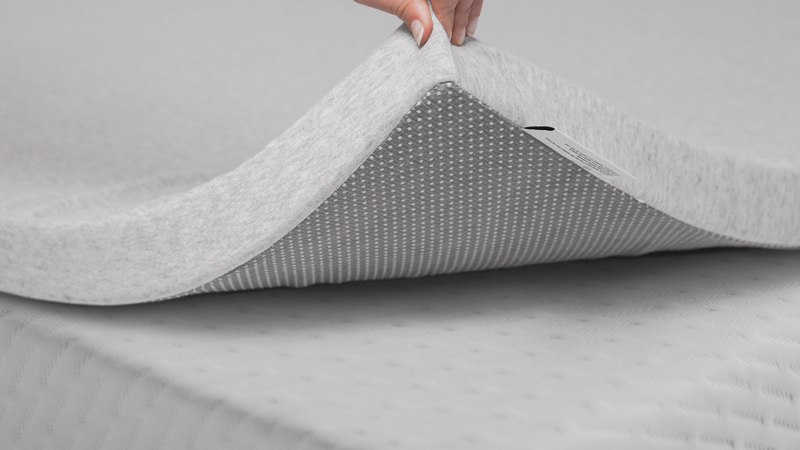 If your mattress is truly on the outs and you’re waking up with back pain, a topper might night be the right solution, but if you’re looking for just a little more comfort it can work wonders. A neutral spine is essential to getting quality rest that leaves your body feeling refreshed and ready to take on the day when you wake up, instead of feeling sore and like you haven’t had a good night’s rest in weeks. Different sleeping positions can impact the ease of keeping your spine neutral, and a topper can both help and harm in this situation. It’s important to know how you sleep and what you need to keep your spine aligned. Mattress Toppers For Side Sleepers Sleeping on your side is generally one of the better positions for your body. With a proper pillow and medium-firm support, you shouldn’t have too hard of a time keeping your spine in a neutral position and getting comfortable. If your mattress is a bit too firm, a topper might help give you the pressure relief you need without compromising that all too important support. Side sleepers tend to dig their hips and shoulders into a mattress more than back or stomach sleepers, so that soft-but-supportive ratio has to be perfect. 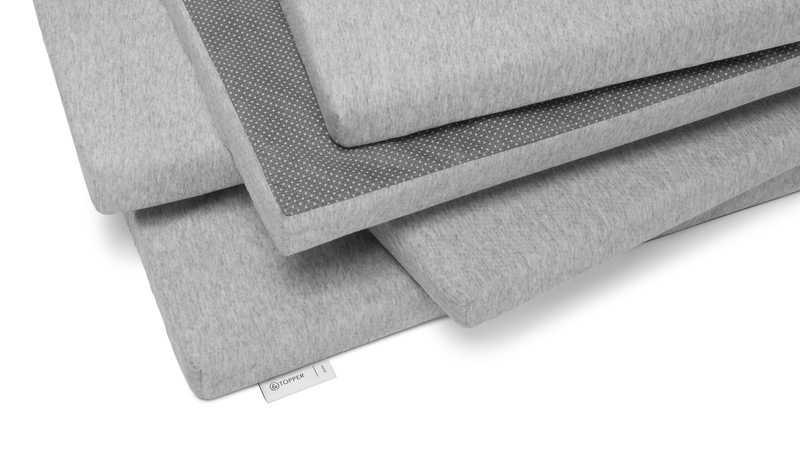 Thicker mattress toppers work well for side sleepers because of the amount of pressure points being touched during the night. Something between 2-4 inches should relieve some of the firmness in your current mattress while still keeping you aligned. Something more substantial, like a foam topper, will probably support your needs better than a pillow-top mattress pad or a thinner topper. Memory foam is a popular material for toppers, but it can often retain heat and create more curvature of the spine as your body heat “melts” the foam around you. Gel-infused toppers help take some of the heat off, but adding anything to your mattress can start to retain heat. Mattress Toppers For Back Sleepers Back sleepers have unique needs that a topper can help, or harm. While your weight is pretty evenly distributed as you sleep, pressure tends to build up in the shoulders and hips, which can create upper or lower back pain. Getting the firmness right with your mattress is the best way to sleep comfortably, but if you’re feeling like your mattress is just a tad too firm, a topper can help relieve some of that pressure. The trick with back sleepers is figuring out exactly what’s causing you to need a topper. If you’re looking for a mattress topper for back pain, the kind of pain you’re experiencing can help dictate the direction you should head. If you feel that your lower back is sinking too far into your mattress, a firmer material, such as latex, might be able to help. If you feel like your mattress just doesn’t have enough give, a softer, cushier foam could be the ideal solution! It’s important to pick a material that lets you feel comfy and cozy, but doesn’t create more problems than it solves. You should look for a material that supports, but gives you just a little pressure relief, and doesn’t retain too much heat or start to form indentations quickly. A pillow top, or down mattress topper, might give you just enough softness while still letting your mattress do the work to keep you supported. Mattress Toppers For Stomach Sleepers Stomach sleepers looking for some pressure relief don’t want to go to far to the soft side. Because a neutral spine is hard to maintain on your stomach, adding a thick, cushy layer might create more pressure on your neck and hips. A thin, barely there topper is probably your best route, if anything at all. A firm mattress can seem uncomfortable at first, but for stomach sleepers it is actually the ideal firmness, coupled with a thin pillow (Or no pillow at all!) to ensure that your neck isn’t arched too dramatically. A mattress pad, which is thinner and less supportive than a topper, might give you the relief you need without creating more sink for your spine to handle.